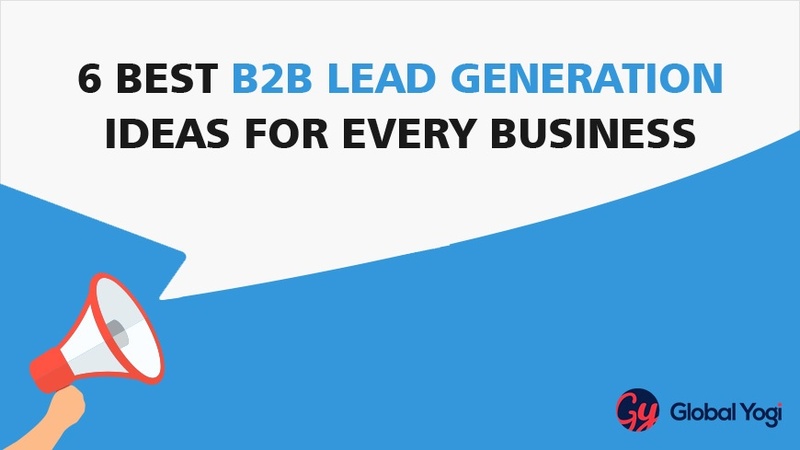 Well, it is not a secret that businesses all around the world are taking the idea of B2B lead generation quite seriously. Aren’t you? If you are reading this article, chances are that you are a B2B marketer yourself and understand the importance of lead generation in any business. A quality lead qualifies as the backbone of any company. But the main question lies here - how do you procure a lead? 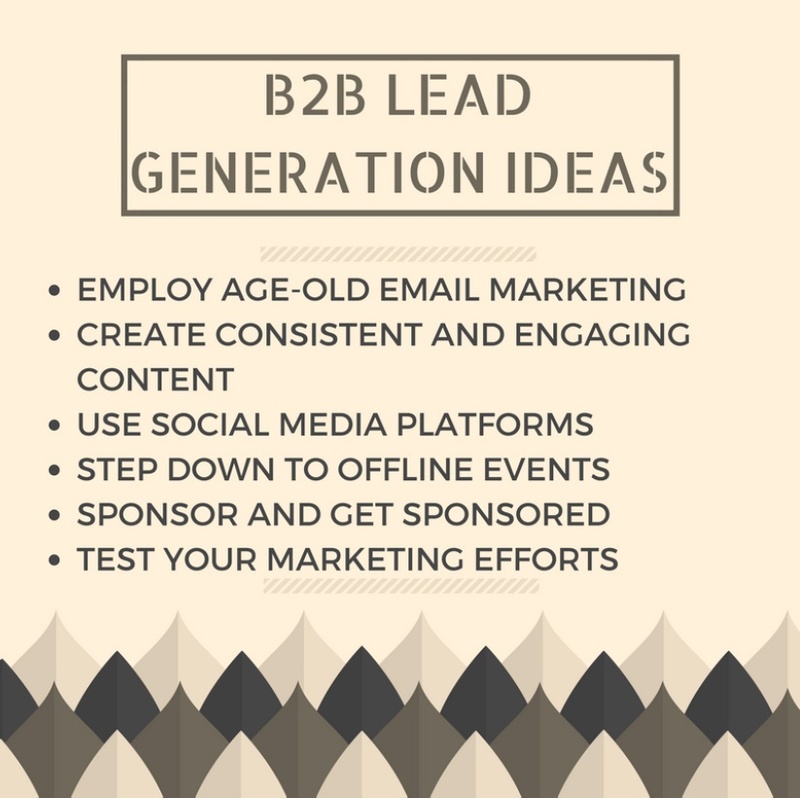 The business marketing scenario is an ever-evolving space and to stay at the top of the game, there’s a need to regularly update your B2B lead generation ideas. No doubt, you will find numerous strategies and content -- directing you towards lead generations -- but the trick lies in adopting the one which suits your business model. And the very first step involves finding out about your prospective buyers – their pain points, goals, challenges, and buying patterns – quite closely and frequently. This information will help you get a head-start on your lead generation strategy. 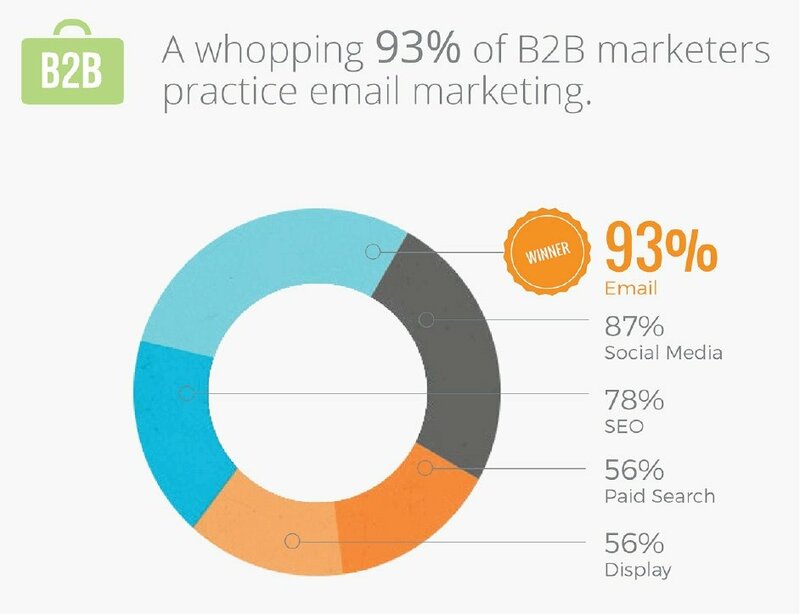 The biggest misconception people have about email marketing is that they believe it to be old-school but, if used effectively, it may be your greatest tool in lead generating. Why would I say that? Email marketing has a marketing ROI of 4300%. And if the right email is sent to the right audience, at the right time – it can nurture your visitors into leads. There are ways of effective email marketing; some of which include defining a clear and concise goal of your email, personalising wherever appropriate because let’s face it – you don’t like to be addressed as just another user for any company – you want to feel like a special customer for them. And when they address you with your first name, they have your attention. Yes, you need to do the same thing. Think of interesting and innovative ways to engage with your prospects via email. Also, create a useful email signature – with relevant links to your site as well as your social media pages. And always follow up, on a regular basis, for increased web traffic. Pro Tip: Email has the power to add value to your company, which will help you build leads. Use buyer’s persona and buyer’s journey to guide you and see your business flourish. Did you know the first sign of content marketing traces back to 4200 BC? I bet not. Content marketing is the strategy that can be used in every single stage of marketing funnel. It is the art of communicating with your prospect leads that can help you build trust. We all are visual learners. Videos have the most potential source of reaching out to your leads. The average internet users spend 88% more time on a website with videos than without. Don’t believe me? Read the video marketing statistics for yourself and then decide. Blogging is the easiest and most convenient way to attract new visitors to your site and convert those visitors into leads. 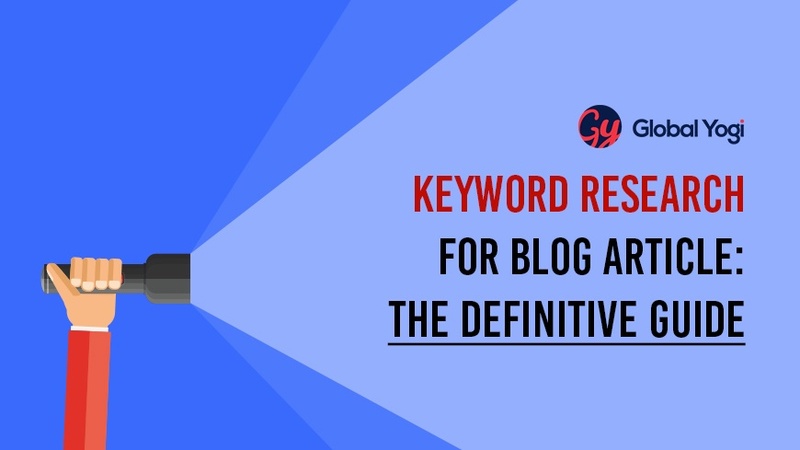 If you have visitors reading your blog, you can strategically promote your business offers. Webinar is considered as the third-most effective content marketing tactics. This is the way through which you can educate your visitors about your products or services. When a prospect gets to see and hear that you provide valuable advice, they are more likely to get drawn to your website. Make use of lead magnets. You can create a series of offers – checklist or videos – related to each other. Each offer should be complete in itself and at the same time also lead to the other one, in a natural manner. With every offer promising yet another offer, the prospect will have something to look forward to and will feel connected to your cause. Case studies can be a great way to repurpose your content; a great way to support consistency of your message and reach out to new audience. In 2016 B2B Content Marketing Report, case study was ranked second in best practices of effective content type. Create a case study right away and with the valuable information you have mentioned, nurture prospects into leads. The thumb rule is – you have to be regular and consistent with your content, otherwise, all your efforts will go waste. 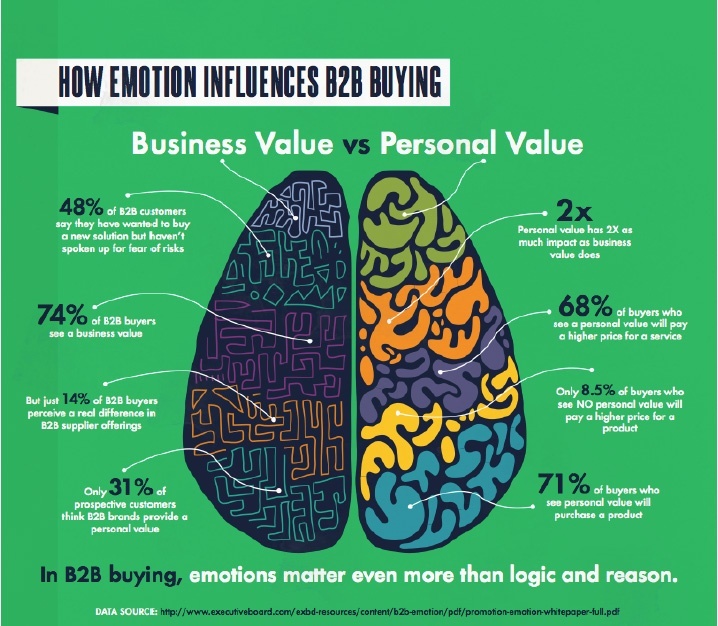 Create content for every stage of buyer’s journey and don’t forget to add the emotional quotient to your content. It can get your visitors hooked on. Period. Pro Tip: Identifying your plan will help you create content more easily and you can be more consistent with your messages. 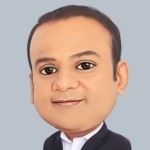 You will be surprised to find out how every strategy is interconnected with each other. The content you just created needs to be promoted on different marketing platforms. Ask me why. ● There are more than 2 billion social media active users worldwide. ● 9 out of 10 businesses maintain an active presence on social media. Using different social media platforms such as Facebook, Linkedin, Twitter can help you get your content in front of the right people and help you generate leads. On LinkedIn, for instance, you can join 2-3 groups that consist of professionals who are likely to become your leads. Start participating actively by asking questions and offering advice in the groups. LinkedIn is a mass gathering of professionals. This will help you build strong connections. 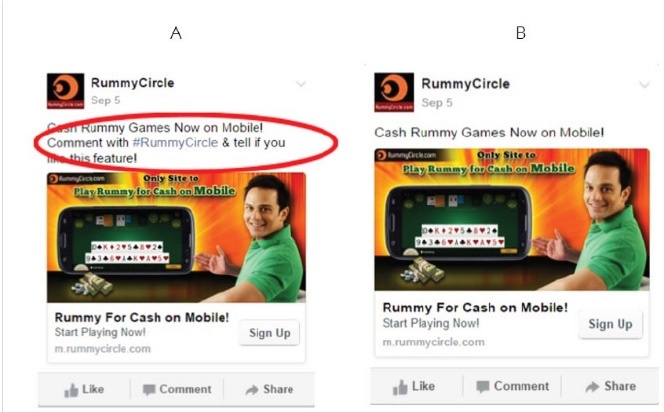 Or, you can use Facebook to launch a targeted audience advertisement. Facebook is a great platform to build your community of audiences with paid media campaign. You can target further segmentation, outside your already existing social media members. You can leverage prospects using Twitter and GooglePlus too. But the key point here is rather than being active on all social media platforms, maintain an active presence across the channels your buyer personas engage in the most. Pro Tip: When it comes to social media, consistency is the key to retaining an active audience and nurturing them into leads. That’s true. But attending offline events such as trade shows, conferences, can give your business a physical appearance which will help you in spreading brand awareness. It’s not enough to have only online presence. If prospects get to see your brand in person, it builds a kind of trust in them and this increases your chance of generating leads. Moreover, old businessmen still rely on old medium of doing business; face-to-face environment. So step down to offline events, expend a little, and get some excellent leads. Pro Tip: You will find a lot of audiences hanging out at the event, this is the place where you show your charm and start selling your product. 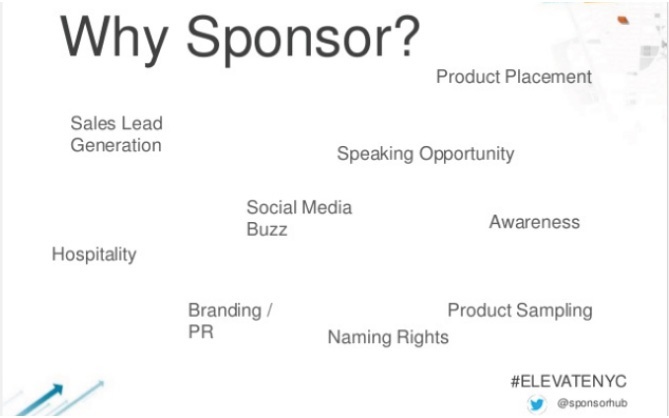 Referrals and sponsorships build up positive strong connections with your prospects and they might end up becoming your leads. We often tend to ignore this particular B2B lead generating idea. It is a powerful tool. Use it wisely. So, how can you go about it? Well, start with gathering resources and putting in all the hard work -- to create an education-focused, high-quality, and information-rich ebook or webinar. 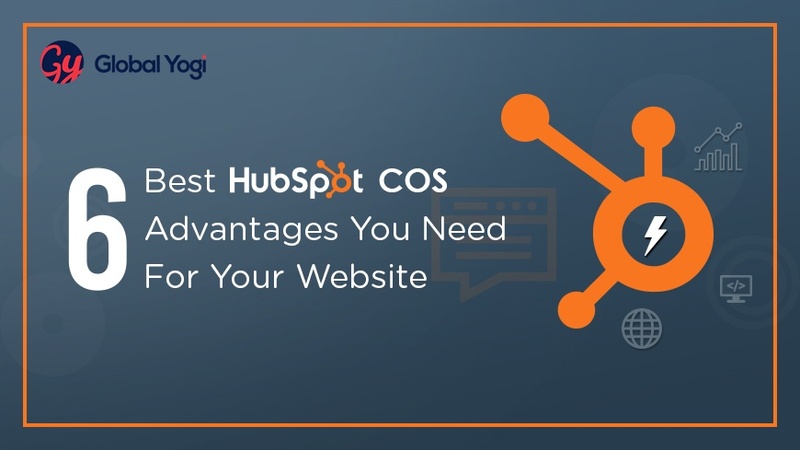 Identify renowned names of related businesses and reach out to them with an offer to co-brand an ebook or if they would want to offer the webinar, free-of-cost, on their network. This way, you will sneak in and get noticed on their network too -- increasing your chances of generating leads manyfold. You can try the other way round too. Find out a relevant ebook or webinar of a brand and offer to co-brand it or make it available on your site. Tying up with a reputed name always helps. Try it! Pro Tip: Slideshare is a useful site for finding people who might be great guests for your webinar sessions. Many times, B2B marketers aimlessly waste their precious time and invaluable resources on channels and ways that do not apply to their business. This, of course, leads to increased lead-procurement cost, yet a poor ROI. The biggest mistake in any business! You need to know if your marketing efforts are driving the needle on leads or not. This includes step-by-step processing of testing and analysing. One process of analysing includes A/B testing. This process is also referred to as split or bucket testing. Their test results reflected that ad version B had a 224.7% lower Cost Per Action. With desktop users, the team discovered that version A engaged more users -- who commented and continued to click to the gaming site. Commenting was beneficial here for lead generation and conversion. However, the same version on mobile gave different results. Here, asking for comments decreased conversions to the email list. So what A/B testing suggests is that, you pick up one variable of a chosen aspect, and change it one at a time. This helps you determine what exactly made a difference in your performance. Changing too many things at the same time will not help you pinpoint what actually brought about the positive or negative change. Pro Tip: Your marketing is only as good as your results. So discover the insights and determine where to go next. It all sounds too easy, doesn’t it? But it requires correct plans and strategies. And if you have the will to learn in depth about it, I have compiled a list of the top lead generation courses for you to start creating quality leads effortlessly. I hope you implement these B2B lead generation ideas in a logical and systematic manner to generate as many leads as possible. Remember to keep improving, improvising, and finally implementing. All the best! Self-awareness – a virtue of the wise marketer.